Happy April Fool’s Day! No tricks here, today — just treats!! In the Disney Food news this week, we take a look at Springtime treats, new menu items, more menu changes, and some new adult beverages! We’ve also gathered some really fun and fascinating reads in the round-up. Cheers! Hurry and get the Pomegranate Martini drink special on your next visit to the Animal Kingdom. 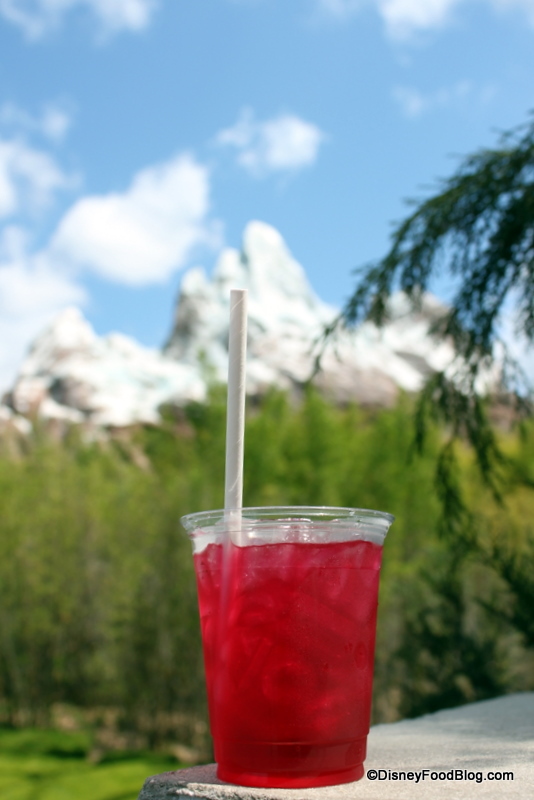 We’ll be sharing more details about new drinks in the Animal Kingdom later this week! New beverages and popcorn flavors announced for Disney California Adventure this summer! The 2012 Epcot Flower and Garden Festival has debuted a Haiti Exhibit featuring frozen rum drinks and coffees. Sanaa in Disney’s Animal Kingdom Lodge has introduced a new Disney dessert! The baked sweet potato is NEW at Liberty Square Market in the Magic Kingdom! Cream Cheese Pretzels are now being sold at Disney’s Hollywood Studios. We love the treats decorated in bright pastels for Easter! Cupcakes, cookies, and rice krispie treats are showing off spring colors! We’ve got more delicious news on our Disney Food News Pin Board, where Disney Food News is updated on a regular basis! Episode 2 of the DFB Podcast is rarin’ to go! In this episode, we’re talking about some of our newest counter-service finds, answering listener questions, and awarding our first DFB Podcast Trivia prize!! 🙂 Head on over and click on the Mac and Cheese Hot Dog! If you have any Disney dining questions, send them along to us to be answered on the podcast! Just contact us here, and put PODCAST in the subject line! Walt Disney World for Grown-Ups heads to the Wilderness Lodge for breakfast at Whispering Canyon Cafe. Pixie Crust throws a vintage Disneyland party featuring Dole Whip cupcakes! AllEars.net tours Europa – the adult entertainment district aboard the Disney Fantasy! Disney Tourist Blog reviews one of my favorite counter service spots in Disneyland — the Plaza Inn! Main Street Gazette samples the new Slow-roasted Pulled Beef Sandwich at Tamu Tamu Refreshments in the Animal Kingdom. Laughing Place reviews one of the rotational dining restaurants on the Disney Fantasy — Animator’s Palate! But Inside the Magic didn’t love the Animator’s Palate food on the Fantasy — see why here! stuff from the park looks at a vintage menu from Disneyland’s Cafe Orleans. DisneyContemporary.com shares a recipe for Creamy Goat Cheese Polenta from the California Grill. Love this stuff!! !